The decision of the Supreme Court to oust Lourdes Sereno drew mixed reactions from different personalities. The removal of Sereno came after 8 justices voted to grant the quo warranto petition. What law experts say about the issue? San Beda Graduate School of Law Dean Fr. Ranhilio Aquino in his Facebook post asserted that quo warranto is a proper action and that asking the Supreme Court to desist from deciding the case was tantamount to calling on the Court to renege on its bounden duty. "The Court has spoken. It is not infallible but it is supreme and therefore its decision articulates the state of the law. The academic disputation sbould continue but the controversy has been resolved," he added. Bruce V. Rivera, a known lawyer from San Beda said that he respect the SC's decision. "You may not agree with the decision but it is still the Supreme Court. As a lawyer and officer of the court, I am bound to respect and uphold it," Rivera said. Rivera however stated that the 8-6 ruling is not a convincing ruling. Hence, while it becomes jurisprudence, there is a higher possibility that it can be reversed or abandoned in the future. The SC can change its mind and it will still be SUPREME. Atty. Trixie Cruz-Angeles said Sereno was appointed by Noynoy Aquino to take care of his cases and make sure he gets away with it. 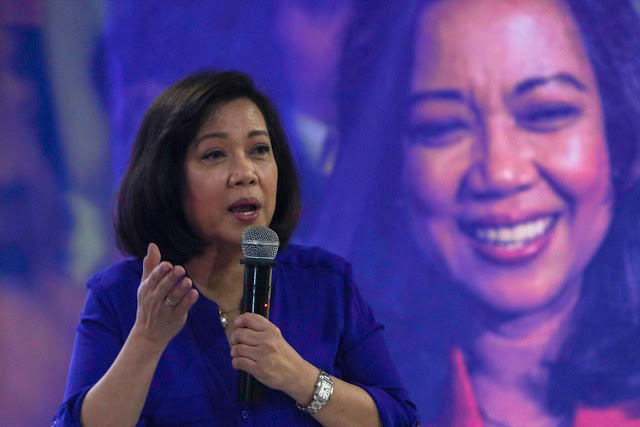 She had shown him loyalty voting as she did in the Hacienda Luisita and Gloria Arroyo cases. She showed the same canine devotion as she threw herself wholeheartedly into Justice Renato Corona's impeachment. "This is no politically innocent woman. She is a full on card-carrying member of the Kaklase faction of the unlamented past regime. She participated in that administration's terribly named and grammatically incorrect Matuwid na Daan (ugh!) allowing herself to be appointed with few qualifications and yes, ensuring her career advancement by her actions against Corona," Cruz-Angeles added. Atty Trixie stated that while Sereno is in power, she showed little magnanimity, and proved her psychiatric report true in all aspects, dispensing with the collegiality rule and running rough shod over the very people whose welfare she was to administer. "The integrity issue is important. Her colleagues were well and truly aware of her lack of it and the evidence was there, laid out in the SALNs... or... er... lack thereof," Cruz-Angeles said. Lawyer Ahmed Paglinawan also gave his stance on the issue. He said that only SC has the authority to classify whether or not a law, policy or result constitutional. "Ang supreme court lang ang syang may kapangyarihan at karapatan na sabihing constitutional o hindi ang isang batas, utos, galaw o polisiya. Ngayon, dahil dyan sa prinsipyong yan, masasabing ang sc lang din ang may ganyang kapangyarihan na gawin yan sa buong Pilipinas," Paglinawan said. Meanwhile, Atty. Tom Berenguer said that the quo warranto petition filed by Solicitor General Jose Calida is a governmental function thus the doctrine of laches does not apply. "When the Solicitor General files a quo warranto petition in behalf of the people and where the interests of the public is involved, the lapse of time presents no effective bar. A quo warranto action is a governmental function and not a propriety function, and therefore the doctrine of laches does not apply Indeed, when the government is the real party in interest, and is proceeding mainly to assert its rights, there can be no defense on the ground of laches or prescription," Berenguer stated. Atty. Paula Defensor-Knack, a law expert also emphasized that once the Supreme Court has ruled, it must be obeyed. "The Supreme Court as final arbiter of constitutional questions has ruled. It must be obeyed. It is not a new invention. That is the law," Knack stated.